What began in 1989 as an observance of Earth Day has now become a great family affair. Each year, over 5,000 people gather on the New Hampshire Fish and Game Department Grounds in Concord, NH, for Discover WILD New Hampshire Day. The day is filled with opportunities for families to learn, explore, and become aware of the wildlife and outdoor recreation available to them in New Hampshire. With more than 35 outdoor, wildlife, and environmental groups from across the state, there’s something for everyone. 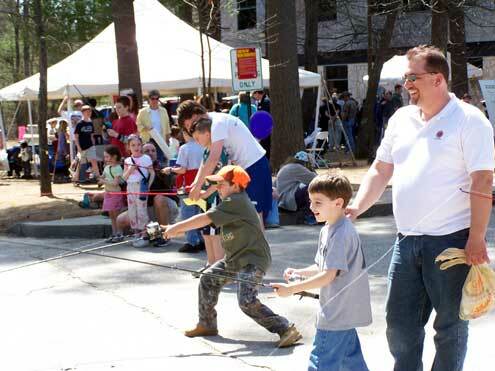 Activities like archery, line casting, and birdhouse building are brought together with retriever dogs, live animals, and life-size exhibits. Exhibits and presentations are available throughout the day. The best part: admission is completely free! There will be a Concession Stand available from 11:00 AM until 1:00 PM. The Fish and Game License Office will be open for the event, so be sure to stop in and pick up your hunting or fishing license. 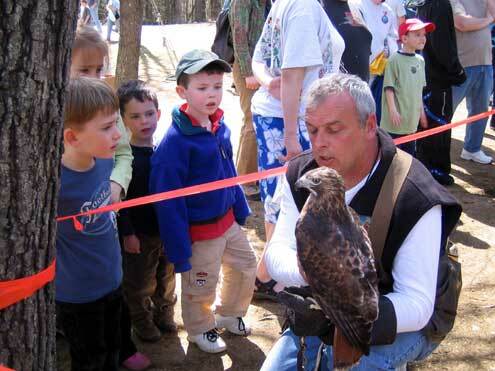 For more information about Discover WILD New Hampshire Day, please feel free to visit their website. Discover WILD New Hampshire Day is co-sponsored by the New Hampshire Fish and Game Department and the New Hampshire Department of Environmental Services (DES). For detailed directions, browse this Google map.